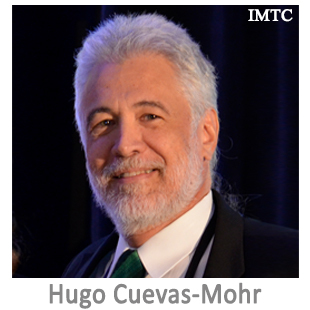 Hugo Cuevas-Mohr is President and CEO of Mohr World Consulting (MWC) based in Miami, Florida which he founded in 2001. After spending more than 20 years in various roles in money transfer & foreign exchange institutions, he became a consultant and together with MWC Corporate Partners, he has advised a number of companies & financial institutions in the Money Transfer & Cross-Border Payments Industry all over the world and is a mentor for several fintech start-ups. Mohr World has offices in Mexico City and Madrid. As Money Transfer Expert he is regularly invited to speak and moderate panels at international payment conferences on different industry topics including remittances, non-bank financial institutions, financial inclusion, mobile money, innovation & fintech and the effects of regulation. He also teaches courses on different subjects & is invited as a lecturer in colleges & universities. His work as a consultant led to the development of The Platinum Network, the umbrella organization of the IMTC, the International Money Transfer & Cross-Border Payment Conferences, the RemTECH Awards and several ongoing projects. His occasional newsletter has thousands of followers: subscribe here. You can view his resume here.